Penten is a Canberra business focused on cyber security innovation in secure mobility, cyber deception and cyber integration services. We are developing our own products and delivering custom solutions for government clients both in Australia and the UK. The team is experienced, security cleared and growing. The founders have a proven track record of scientific invention, commercialisation and export success of Australian cyber security technology. Penten recently launched AltoCrypt, a next generation high grade encryption and remote access solution which was developed jointly with the UK cyber firm Amiosec Ltd and with commercial support from the UK and Australian governments. Penten’s Secure Mobility helps government customers field the devices their users want whilst meeting information security requirements. Penten has developed innovative products and architectures to allow customers to secure their remote mobile devices and laptop communications up to high-grade cryptographic standards. Penten’s Cyber Deception capability helps tip the balance in favour of the defender by raising the costs and early detection of Advanced Threats. Penten customers can protect their most sensitive information from theft and misuse by detecting, shaping and delaying a threat actor. 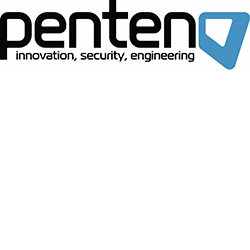 Penten Cyber Integration Services has a clear focus on cyber defence workflow simplification and automation. Penten delivers cyber innovation built in Australia. Penten have brought together experienced, trusted and talented engineers to meet the national security challenges of Australia and New Zealand. A security cleared team with a focus on value for money, Penten is committed to solving tomorrows cyber challenges through invention, integration and partnerships.